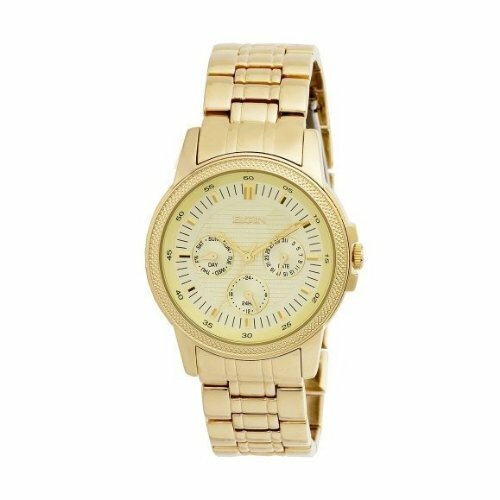 Reader Cynthia recently wrote in asking me to help her find a more affordable version of Michael Kors' Jet Set Sport watch, which retails for $250 at Shopbop. 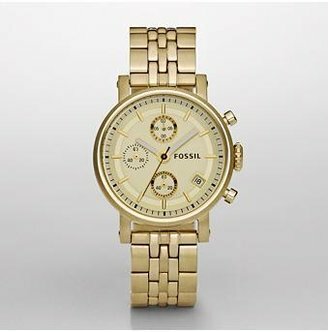 Fossil's oversize chronograph watch with champagne dial is a great alternative, retailing for a more budget friendly $125. Click on the photo below to purchase. This version by Elgin is actually a men's watch, but it will give you the same look as the Michael Kors version for a much lower price. I found it at Target for $80.99 or you can get it for $65.97 here on Amazon. *Update - 9/30/10* - This post is originally from April, so some of the original options may no longer be available. I just spotted this version from Wet Seal and wanted to share. It retails for $19.50 and is a fantastic look 4 less of the MK version above. Click on the photo below if you're interested in purchasing. Also check out this version that reader Amanda sent in - it's by Guess and retails for $135. I had bought the Michael Kors version which needed a battery change. I took it to Michael Kors for the battery and they told me to go to the Fossil store because Fossil makes all Michael Kors watches. I wish I had bought the Fossil version! It's true. Fossil makes Michael Kors' and Burberry's (they might by the makers for other designers too, but that's all I'm aware of). Also Target have a new batch of amazing boyfriend watches by Merona for just $14.99. wow great find and to know! Target used to have an exact knockoff of the MK one...I waited a day and went back, everyone must have loved them too! I got the Fossil watch as a birthday present. I love it. It will have to be adjusted if you have a small wrist. It's really, really nice. It doesn't look too bulky and it looks really elegant. Definitely better than the Michael Kors' version. Those are all good subs, but not NEARLY as beautiful as the real thing. I got the Jet Set in Rosegold with the rhinestones on the outer edge. Worth every penny of the $250. Forgive me if I gave anyone the wrong impression. I wasn't trying to undermine your efforts or make anyone feel bad about getting a look-a-like ($250 is more than I've ever spent on ANY piece of jewelry). 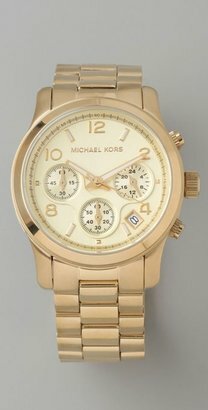 I just wanted to put in a good word for the Michael Kors watch in case anyone was on the fence. Jenny - No worries! Sorry if my response made you feel as though you gave the wrong impression in your comment, I did not intend it to do that at all! The MK watch is a beautiful classic piece, and definitely worth the $250 if it's within people's budgets. Thanks for all the feedback - I appreciate it!